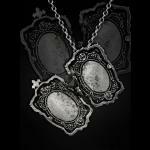 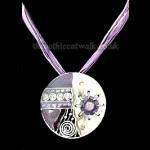 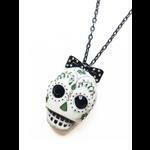 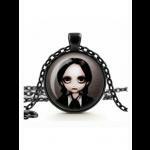 A very unusual gothic necklace made from nickel free silver tone pewter. 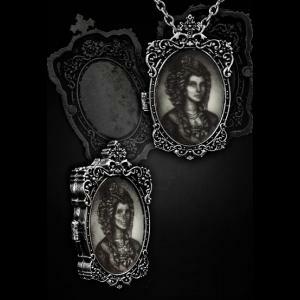 The necklace has a holographic cameo of a beautiful lady who transforms into a skull when the image is moved and is set in an ornate frame. 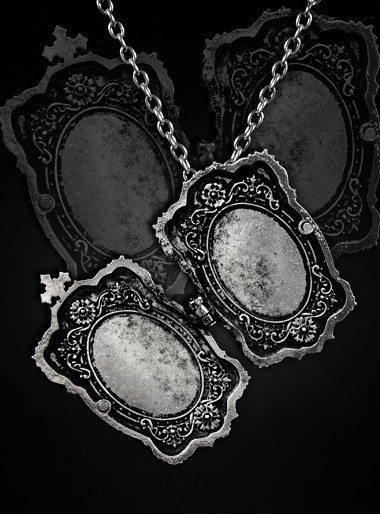 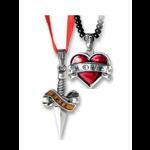 The necklace has a strong opening hinge and inside are two engraved oval frames ideal for placing photos of your loved one. 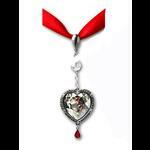 A pin is attached to the back enabling the cameo to also be worn as a brooch. 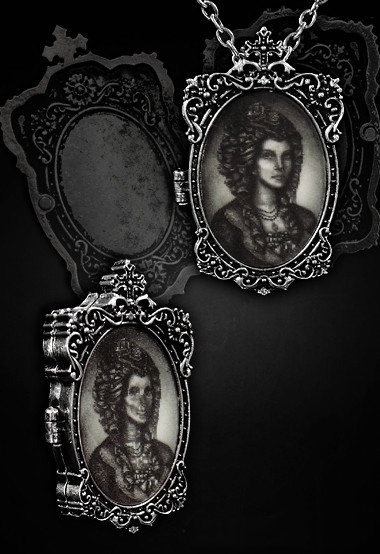 Click on the first photo above to see an animated image of the hologram!